Come dressed up as your favorite Superhero as you could meet a real superhero along the way. Crafts and lots of hero themed fun awaits you on this not to be missed experience. Suitable for all ages. South York Macaroni Kid will be hosting the event. There will superhero stories, shields to be made and an obstacle course. Activities will start at 10:30 am and conclude at 1:00 pm. This excursion is 45 minutes. Macaroni Kid South York is a FREE weekly e-newsletter and online events calendar filled with family fun events info and more. Macaroni Kid South York reaches nearly 5,000 self-subscribed families, across Southern York County, Northern Maryland and surrounding areas. Visit their website to find your family fun! 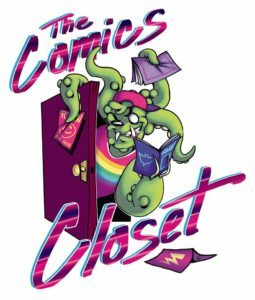 This event is sponsored by The Comics Closet in Shrewsbury. Steam into History thanks them for their support.